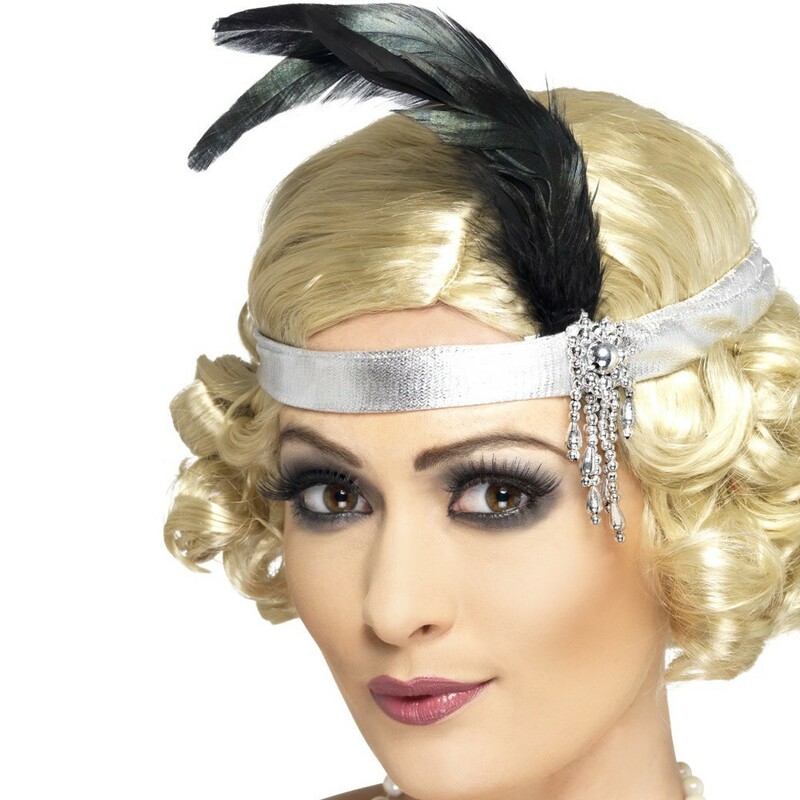 This Silver 1920s Silver Headband is perfect for adding the finishing touches to your 1920’s themed costume ideal for a Charleston or Gangster dressing up theme! Finish of your look with this beautiful Silver 1920s Silver Headband. This Silver 1920s Silver Headband is ideal for many fancy dress themes such as a Charleston girl, Tallulah from Bugsy Malone or maybe a flapper Girl, whatever theme you decide this gorgeous silver 1920s Silver Headband is sure to put the finishing touches to your look. Be a lady of elegance wearing the Silver 1920s Silver Headband!